worldwide, and inevitably, take pride of place on the labels of his solo winemaking venture –– the synthesis of his dual passions. north-eastern corner of the South Island boasts a broad alluvial plain and steep valleys of favorable northerly aspect. In cool, sunny conditions, Marlborough grapes enjoy a long, slow ripening period with marked diurnal temperature swings that build intensity, retain structure, and enhance color development. 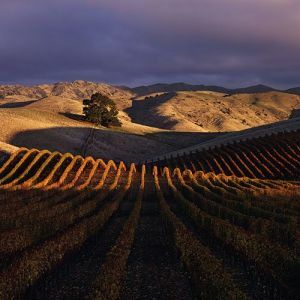 The diverse collection of soils has a great impact on style and quality, and while New Zealand does not have a designated national rock, if one were chosen it would undoubtedly be greywacke. Kevin sources fruit from mature, sustainably farmed viticultural sites in the central Wairau Plains and Southern Valleys, collaborating with growers on organic initiatives, the use of cover crops, under-vine weeding and composting, as well as yield-restricting viticultural techniques and intense canopy management regimes.